I wish more attention were being drawn to this issue. Millions of people lined up at Chick-fil-A back in August to support a Christian business owner’s right to free speech, but the plight of Hobby Lobby and other businesses fighting mandated health care – including chemical abortion – have garnered less support. The new health care mandates that took effect Jan. 1 require employers to provide access to birth control, including emergency contraception. Plan B is just one such method which causes a medically induced (or chemical) abortion. Beginning on the first day of January, Hobby Lobby was facing a fine of up to $1.5 million per day – one and a half million dollars per day – for refusing to provide abortion coverage to its employees. The new new loop hole buys them some time as the court battle continues. There have been several other cases already of businesses suing the government, with a current rate of nine wins and four losses. So far only the business suing is free from the obligation; the ones that lose in court, which as of now includes Hobby Lobby, still must provide the coverage. Hobby Lobby is the largest business to protest, based on the pro-life perspective that funding abortion violates the business owners’ religious liberty. 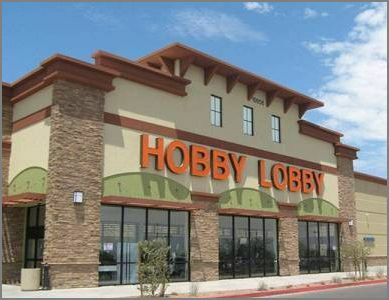 Hobby Lobby started as a single aisle of a gas station/ convenience store back in the 1970’s. The business has always been operated according to the Christian principles of the owners. As it stands, for those businesses that have lost in court, an individual has religious freedoms protected by the First Amendment but a business entity does not. Again, nine businesses have won their fight in court, but those rulings do not extend to other businesses nor apparently even serve as precedent. Hey Christians – If we can actively organize to stand by Dan Cathy, why not the Green family of Hobby Lobby? Link to this post or to this article published by Baptist Press. Say a word on Facebook or Twitter to make others aware; I fear the gun control debate has captured our collective attention. Abortion is not health care. How about a little outrage folks? This entry was posted in Christianity, news, politics, religion and tagged abortion, chemical abortion, health care, Hobby Lobby, mandate, Obamacare, pro-life. Bookmark the permalink. Thank you for this reminder. I wish that more people would speak up! As a US citizen I heart broken at what this Prez is doing to our land. It is sad on so many levels. As a christian I see the writing on the wall. Things are only getting harder and harder. We must make the message of the Gospel louder. There is such a thing as righteous anger, but better than righteous anger is fervent and consistent prayer, and a willingness to act on our belief. I hope every blood-bought, adopted child of the living God in America writes to their politicians about this. A letter from Australia would not help but I can and have and will pray.